Whipped Cream Play Dough! I know what you're thinking. Seriously? 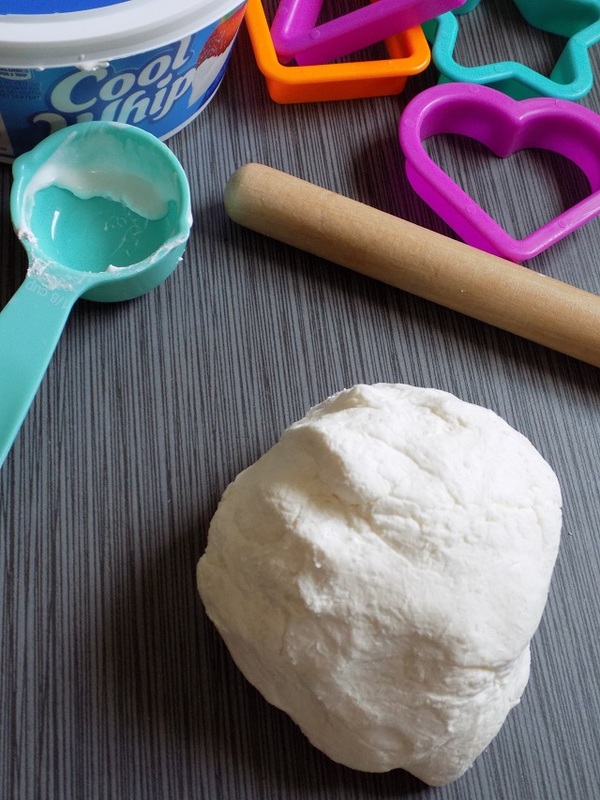 A play dough recipe made with whipped cream? Yes, you read that right! 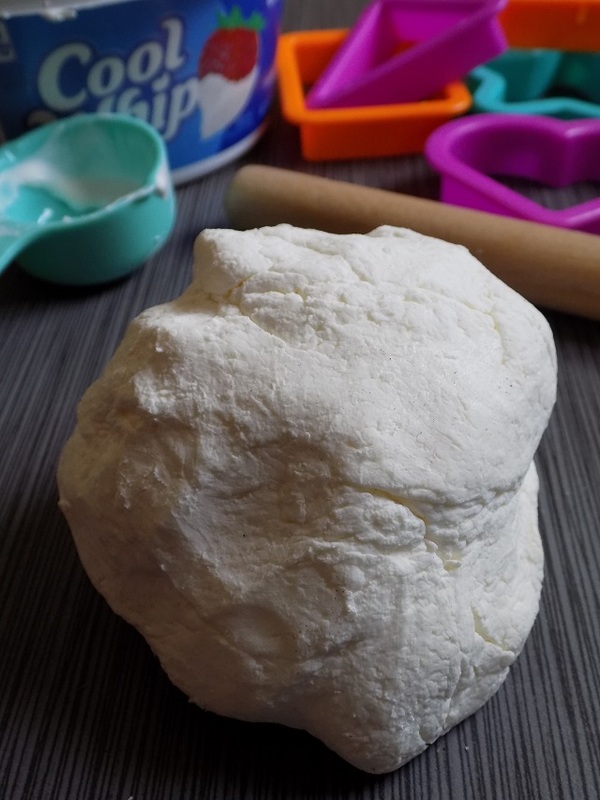 You guys, this is such a fun, fluffy play dough recipe, that's also taste-safe for curious toddlers and preschoolers. It's the perfect activity to do with little ones - just about any day of the week! Hi friends, how have you been? We've been having a few of "those" weeks around here as of late. This past week everyone came down with a flu like bug, and it snowed (crazy amounts of snow), so we were land-locked at home for a bit. 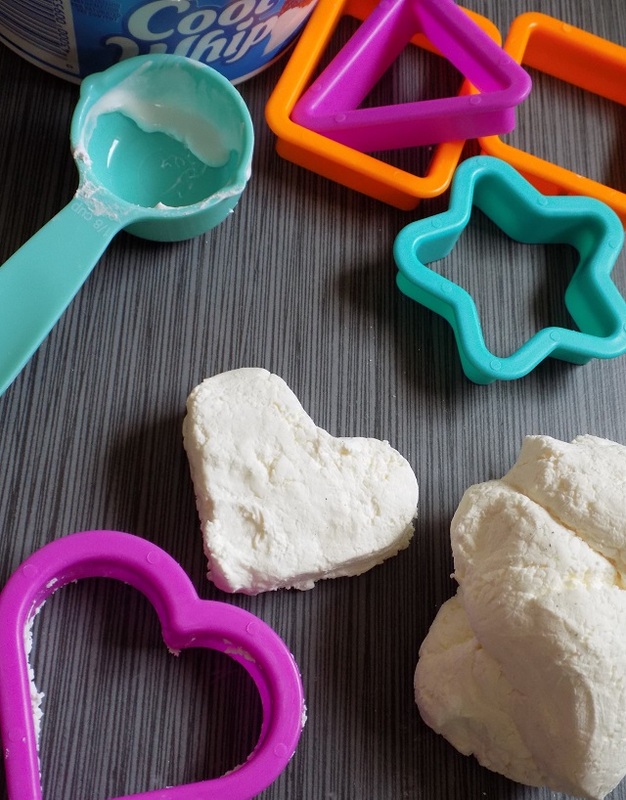 To quell some of the cabin fever, we did a few crafts and I made this fun, fluffy, taste-safe whipped cream play dough for my toddler. He was most intrigued by the use of one of his favorite fluffy dessert toppings (Cool Whip), and he had a blast molding it and playing with it for hours. 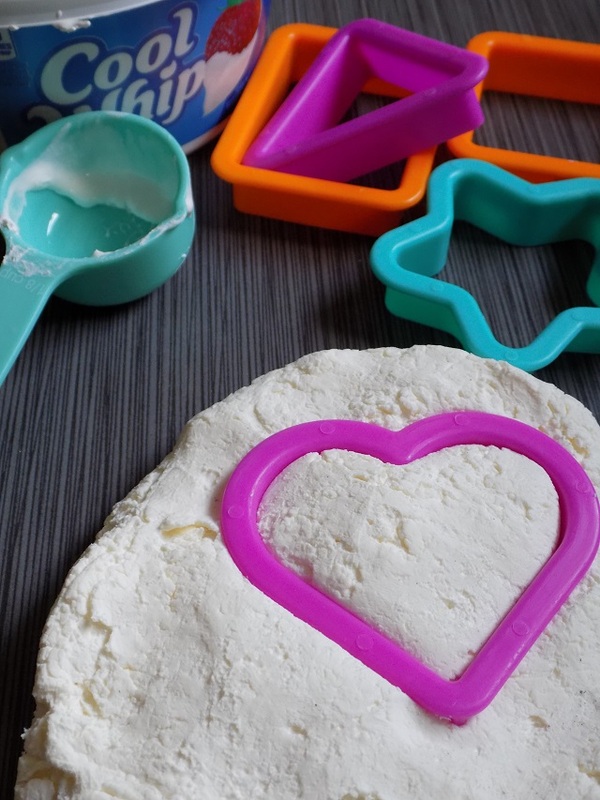 If you're looking for a fun experiment and a unique play dough recipe, this is definitely it! It's super simple to put together too! Check out the simple supply list and tutorial below. You can store your whipped cream play dough in an air tight container for up to two weeks, in the refrigerator. We simply rinsed out the Cool Whip container and dried it well, and used it to store our whipped cream play dough. Play, create, and most importantly, have fun! ENJOY! This looks like a fun project for a rainy day like today. Playdough that the dog can eat because so much always lands on the floor. We will be making this.